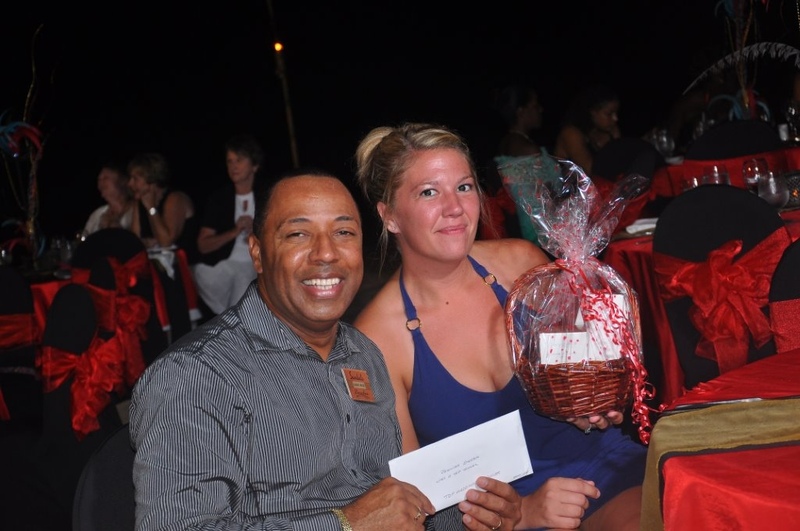 Jennifer received an personal invitation to attend Sandals Resorts Rising Stars Event hosted at Sandals Regency La Toc Golf Resort & Spa located in beautiful Castries, St. Lucia. An awards ceremony was held towards the end of her stay to acknowledge the top 5 “Best of the Best” Rising Stars. 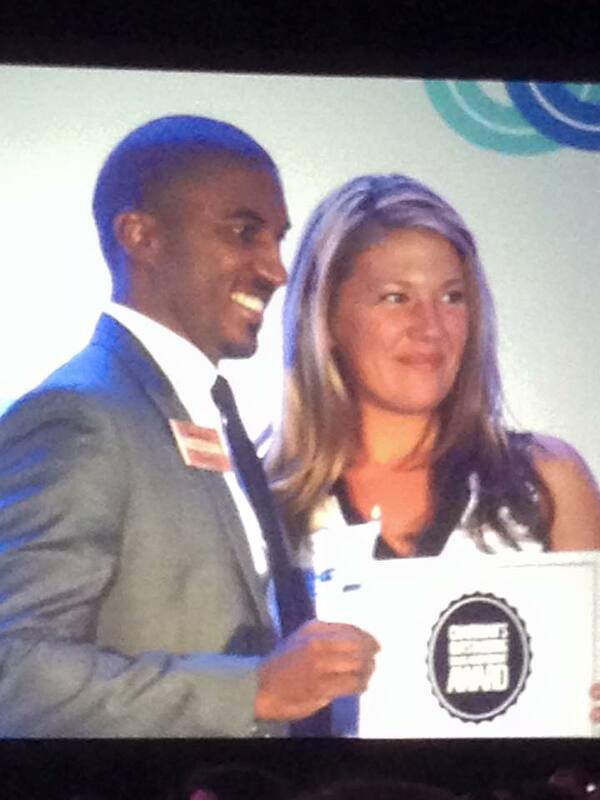 Unbeknownst to Jennifer, she was called on stage and awarded “TOP WEDDING PRODUCER” out of all of her peers! 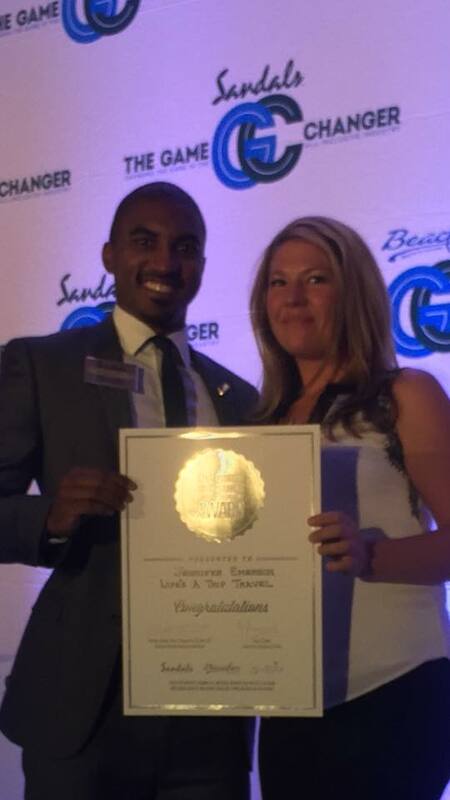 Jennifer has also retained the title of “Preferred Sandals/Beaches Specialist” for the 3rd consecutive year in a row! 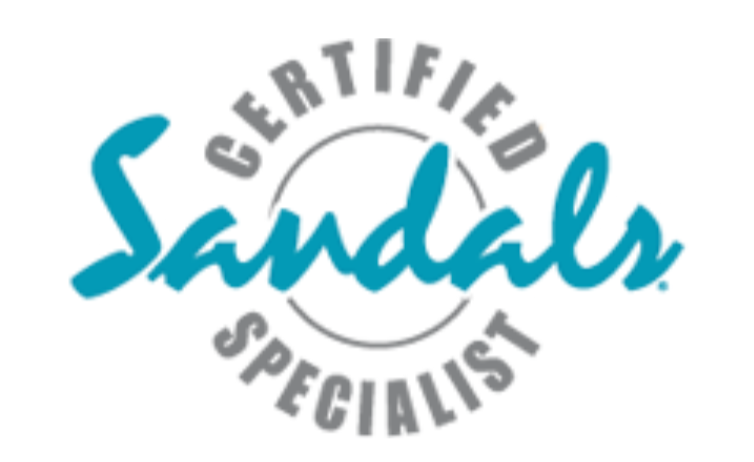 Bringing our agency from “Certified Sandals/Beaches Specialist” to the higher more coveted preferred status! 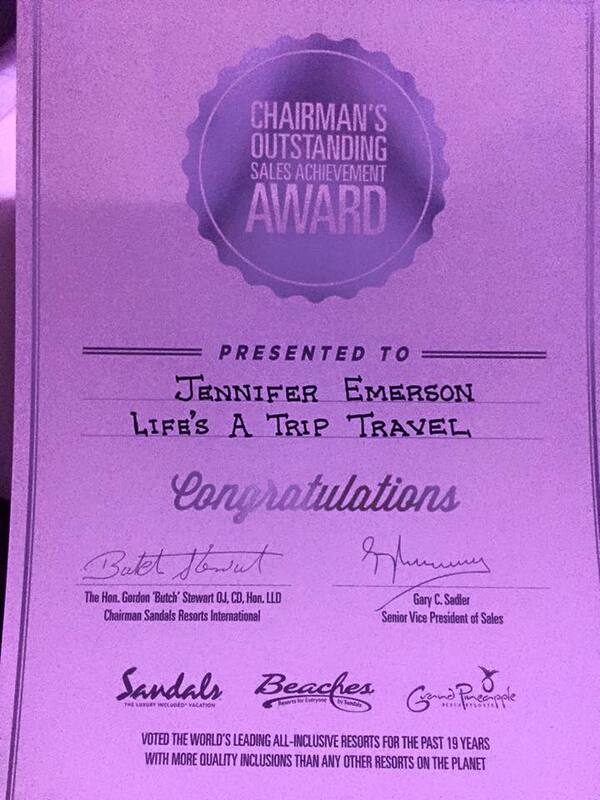 We are so proud of all that Jennifer has accomplished in such a short time and happy to have her as part of the Life’s Trip Travel Family! Customs/Immigration was a breeze in part due to our late arrival and with the new kiosks I cleared that bad boy in less then 30 minutes (woohoo)!! Something tells me this will not be the case when I return in December (wink wink Club Mobay)! My transfer to property was immediately ready, thanks to Perry our awesome tour guide/driver, we had a beautiful smooth ride with 2 awesome honeymooning couples (1 of the couples from Australia, over 20 hrs in flights to get to MBJ made my flight look not so bad)! Upon arrival at the resort, I was greeted by the GM and Sales Managers smile emoticonEveryone in Club Sandals was like who is that girl and I’ll tell ya, this trip I was a photographer, nurse, school teacher, hehehe!!! Then off to see my gorgeous and gigantic room which could have easily slept 8 comfortably! Then I headed to the beach and I have to say in all of my travels to Jamaica I have never experienced weather like this, strong winds (to the point I was actually a little chilly), the beautiful calm caribbean sea was no where to be seen, wish I had a surf board (or could surf for that matter) because those waves were no joke! And then there on the sand, the demon haunting the caribbean in abundance had finally showed its ugly, smelly face in Jamaica- SEAWEED! 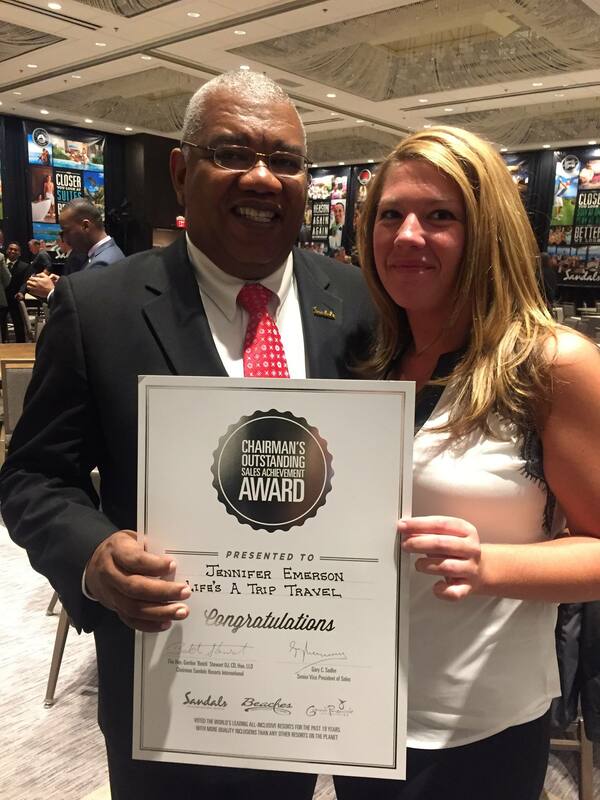 But it did not stay for long due to the top notch GM at Beaches! He was right out there with his staff clearing the beach for guests to enjoy. The next morning I woke up at 5 am (not sure why but I can’t sleep in the caribbean, afraid I will miss something, lol), so I head straight to the beach and there the GM is again, helping clean that beach! In between all of that he was hosting myself and 2 other agents! And he is the social media king, Facebook, twitter, instagram but I gave him a run for his money 🙂 I truly am not sure when this guy sleeps but by the end of day 3 his efforts had paid off, the weather calmed and the beach was back to its beautiful self! Sorry for the long post! So grateful to Mr. Whitehead and his team for their hospitality! I swear Jamaica gets more beautiful with each visit! More to come and tons of beautiful pictures to go through! And a BIG thank you to my clients for their patience and understanding when I travel! Also, my mom for helping with my babies and doggies!! !